Chorus is an industrial engineering company specialising in refining, petrochemicals, basic chemistry and energy production. Our services cover every phase of engineering design, from process design, cost analysis and basic design up to detailed engineering. We integrate experienced staff with young engineers, forming a dynamic team that’s confident with new engineering technologies and working methods. We believe in the sharing of knowledge between our engineers, for a multi-disciplinary structure to tackle all aspects of industrial plant design. Our most valuable asset is our skilled workforce, continually improving thanks to our well-designed professional training. Since the start of operations, Chorus has performed more than 300 projects, with our engineering team accurately identifying clients’ needs in order to increase customer satisfaction. Our main customers are multinational corporations operating in refining, basic chemistry and energy production. Chorus started operations in 2011, with the acquisition of the plant engineering business unit of Tecno, a company operating in mechanical and industrial engineering since 2001. 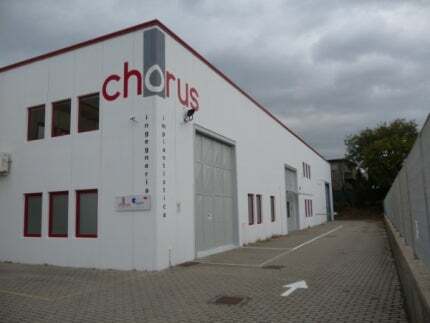 Chorus is headquartered in Rosignano Marittimo, Italy, with 20 highly skilled technicians and an annual turnover of approximately €2m.